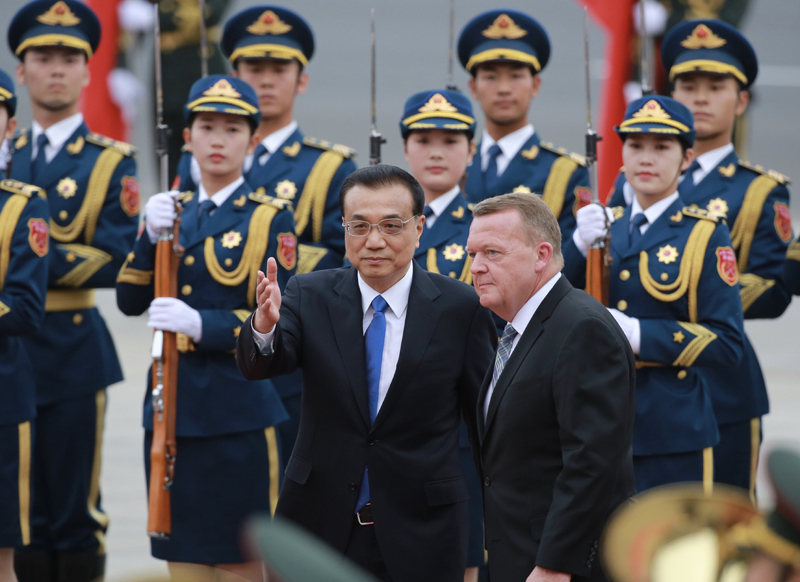 Chinese Premier Li Keqiang hosts a ceremony for visiting Danish Prime Minister Lars Loekke Rasmussen outside the Great Hall of the People in downtown Beijing, on Wednesday, May 3, 2017. Li Keqiang has hosted a welcoming ceremony for Rasmussen, who is on a four-day official visit to China. China said on Wednesday it would send two giant pandas to Denmark and work on panda protection during Danish Prime Minister Lars Loekke Rasmussen's visit. Chinese Premier Li Keqiang and Rasmussen held talks on Wednesday afternoon and witnessed the signing of cooperation documents on food and drug supervision, quarantine and panda protection, among others. Copenhagen Zoo revealed in March the design of the panda house. Construction will begin in November and take about a year, according to Copenhagen Zoo director and CEO Steffen Straede. China and Denmark unveiled a plan to deepen cooperation from 2017 to 2020 and agreed to expand two-way trade and investment. Both sides identified agriculture, fisheries, food security, health and tourism as major areas for cooperation. 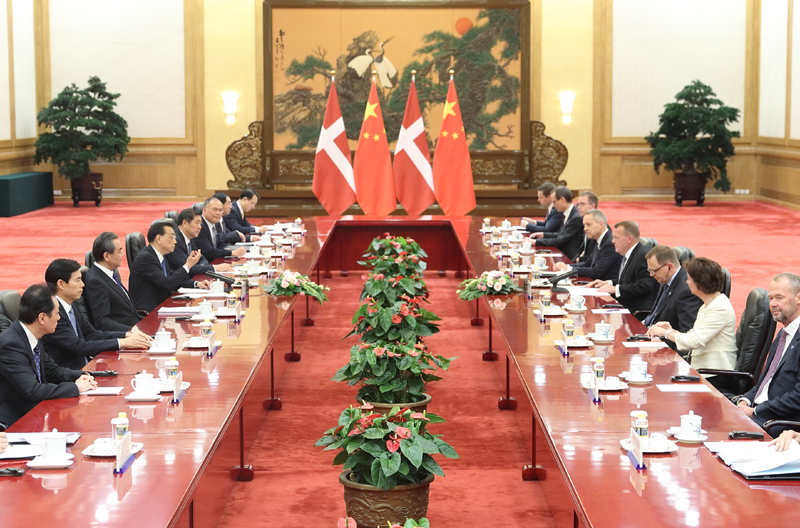 "China hopes to work with Denmark to advance bilateral practical cooperation and guide the economic globalization towards more inclusiveness and fairness and promote liberalization and facilitation of trade and investment," Li said. Rasmussen said developing a comprehensive strategic partnership with China is a diplomatic priority for Denmark and invited Chinese investment to Denmark. As a EU member, Denmark supports progress in the talks of EU-China investment treaty and contribute to the EU-China relations, Rasmussen said.